The Lyric Theatre & Cultural Arts Center is pleased to announce the continuation of the Feed the Soul Series. 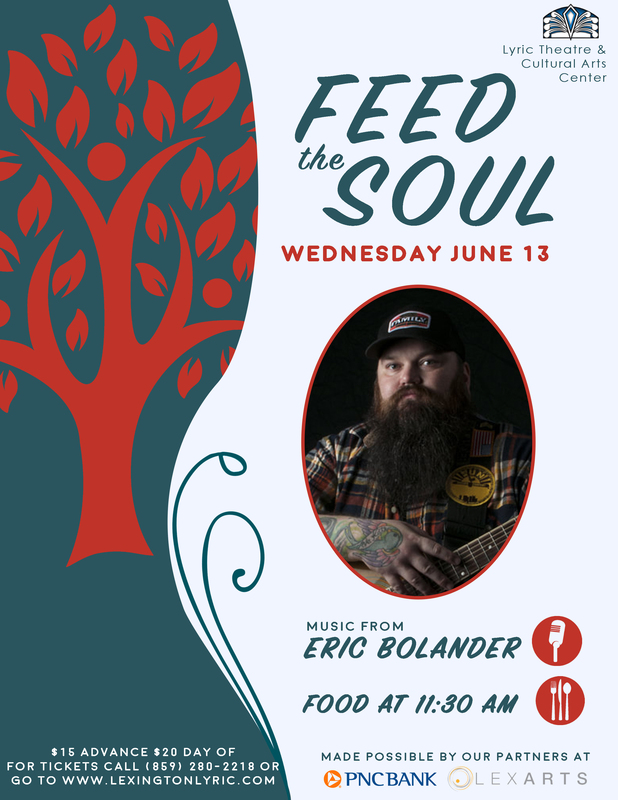 Every Second Wednesday of the month from March to December, you will be able to listen to some tunes and have some lunch to Feed your Soul. Tickets will be $15 advance and $20 day of the show. There are group prices for 3 Pack Feed the Soul events, 5 Pack Feed the Soul Events, and 10 Pack Feed the Soul Events. Please contact the Lyric Box Office for more information or to purchase these packs at 859-280-2218. We would like to thank our partners who made this series possible, PNC Bank and LexArts.